IT IS oddly surreal, almost up there with Tam O’Shanter’s encounters on that dark night in the wilds. 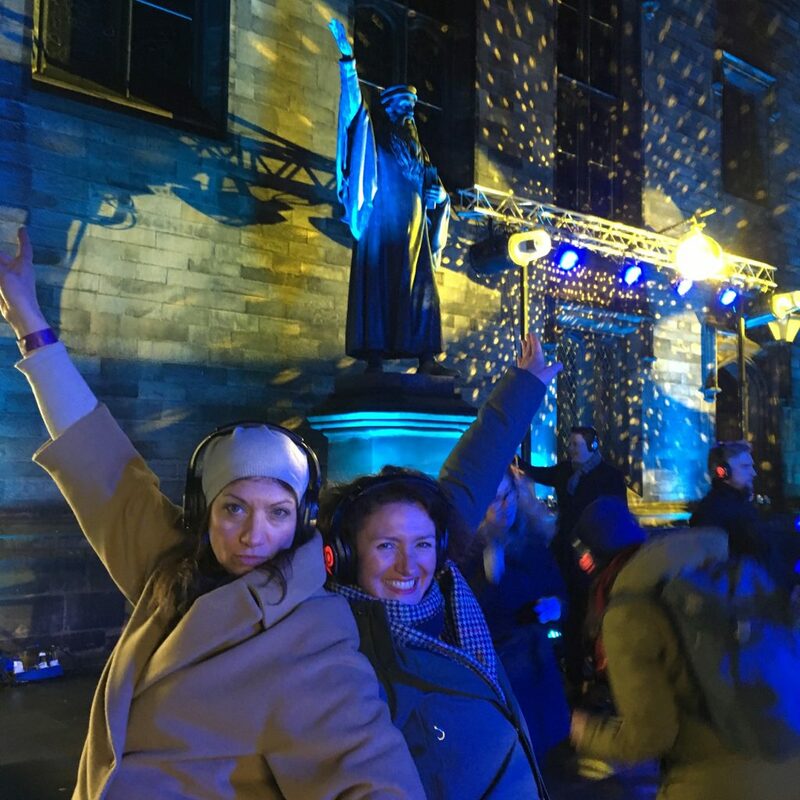 I’m dancing to the strains of Neil Diamond, The Proclaimers, and Shania Twain, in the New College Quad of Edinburgh University, at a silent disco, one of the many delightful stop offs, on a slick and savvy Culture Trail at the new Burns and Beyond Festival. It’s a bleak, cold and damp night at the tail end of January, the kind noted in these barren months for depression and miserable thoughts, and we are celebrating the national day of the bard and Scottish culture. Revellers dancing to the silent disco as part of the Burns and Beyond Festival in the shadow of John Knox. Here amongst the swirling disco-ball lights that dance like snowflakes across this esteemed arena, as punters wrapped up like Inuits shake their stuff, I make an irreverent observation. The statue of John Knox, the Presbytarian father of the Reformation, arm lifted high and pointing skywards, bears not dissimilar pose, to another John …Travolta this time, who took an only slightly modified stance on the US dance floors of the seventies. It’s perhaps the speed whisky tasting kicking in on this slick, elegant foray into festivities themed around the life of Robert Burns, that takes me on a whirlwind night time sojourn of the city in honour of the life and legacy of the Ayrshire-born poet, an enlightened move indeed on the part of Unique Events. The company, formerly the backbone of Edinburgh’s Hogmanay took funding from the Scottish Government and Edinburgh City Council, and ran with it to launch one more smorgasbord of events across the capital in well-kent and less obvious venues, including the Freemason’s Hall, a Merchant’s House on Hanover Street, St Giles’ Cathedral, the Caves and the Roxy. It is a veritable ray of light in an otherwise colourless early year dawn that extends celebrations deeper into the new year and will likely encourage further tourism. 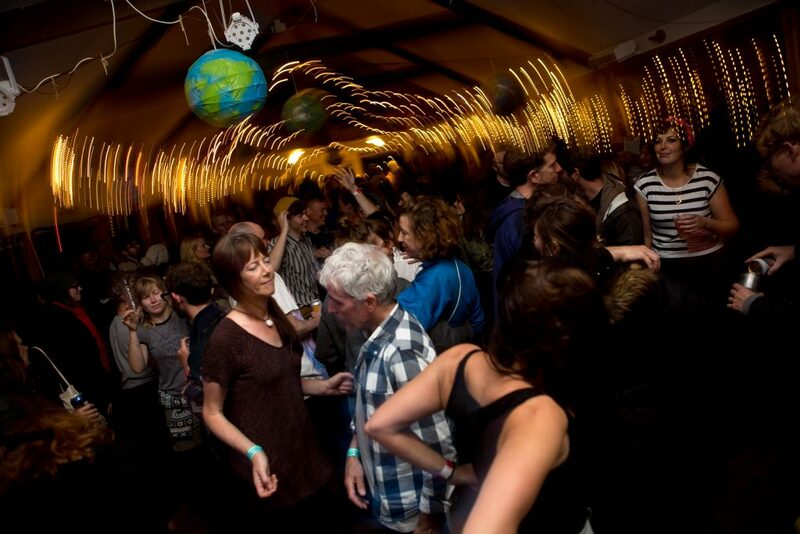 Undeniably fun, but also reflective, cultured and shot through with national pride, the six day event has all the momentum of an Edinburgh arts feast and there is almost too much choice. 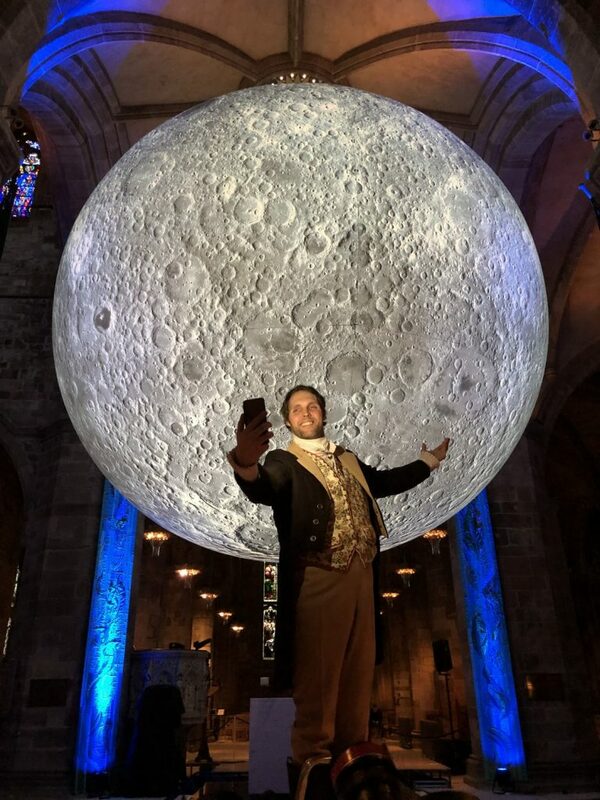 Centrepiece of the festivities, which recall the hugely successful Scot:Lands New Year’s Day event of recent years, is Luke Jerram’s Museum of the Moon, whose celestial presence has loomed over the altar at St Giles’ Cathedral for most of the week. After our dance we repair to the cathedral, whose doors are flung open until 10.30pm , and wonder at its astonishing beauty. Shadow work, sublime music and lighting offer something quite transcendental and unique. Neu Reekie, Pictish Trail, Ricky Ross, Aidan O-Rourke, Alastair Roberts, Alba Brass, the afore-mentioned Johnnie Walker Whisky Tasting, The Red Rose Club, all female D-jayed club at the Caves on Niddry Street, are just some of the magnets pulling those on the journey to other sites on the magical tour. At the launch of the festival, Ben Macpherson, Minister for Europe, Migration and International Development, said: “Burns Night is one of Scotland’s most well-known and best loved national days, celebrated by millions around the world. Councillor Donald Wilson, Culture and Communities Convener, said: “Edinburgh is famed for its fascination with the skies above and has been since the age of the Enlightenment. For centuries, the moon and the stars have inspired Scottish thinkers, artists and, of course, poets. It feels fitting to bring this incredible Museum of the Moon to Edinburgh as part of the new Burns & Beyond Festival. “Commemorating the life and legacy of Scotland’s Bard, I’m pleased the Council’s funding has helped to secure this new event. The full programme will rightly celebrate the considerable achievements of Rabbie Burns and I’m sure Luke Jerram’s lunar-inspired showpiece in the Old Town will be a glowing highlight. 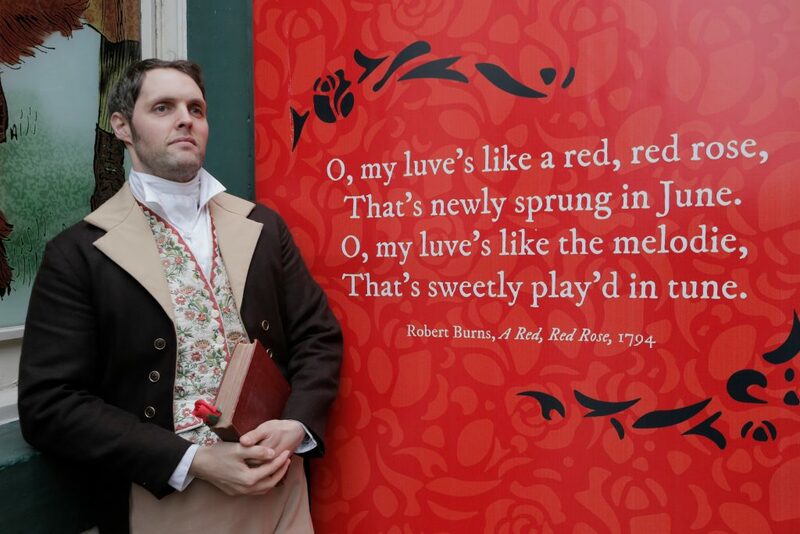 Ae Fond Kiss to Burns and Beyond … may it be the first of many! 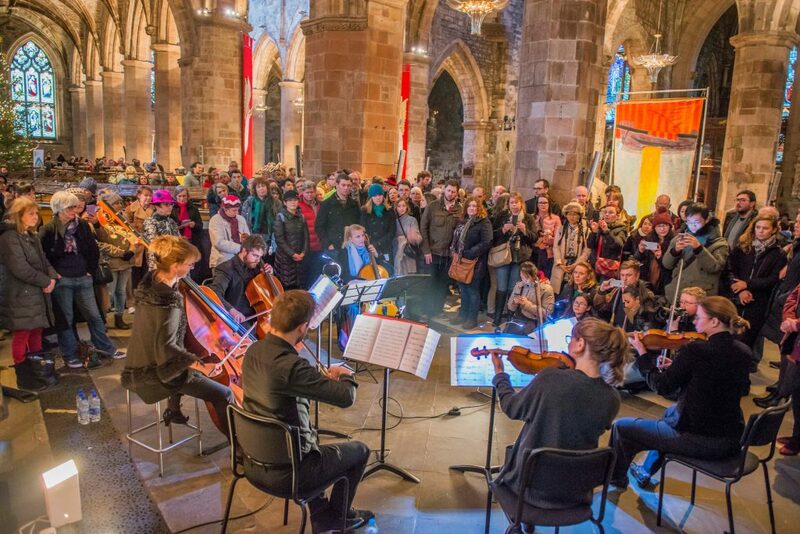 It is a veritable ray of light ... undeniably fun, but also reflective, cultured and shot through with national pride, the six day event has all the momentum of an Edinburgh arts feast.